24 September 2013 /in Positions /by Anne C.
Background: Foldable, thin, light-weight, stackable, high performance – that’s the promise that flexible electronics and integration of highly heterogeneous functional and structural materials holds today. Smart systems featuring ubiquitous intelligence such as wireless sensor networks, micro-aerial vehicles, embedded defense, security and biomedicine chips, environment monitoring and smart textiles are all applications that flexible electronics and heterogeneous integration would make take off. To realize that objectives, microsystems (comprising digital, embedded memories and analogue signal processing), RF circuitry, antennas, sensors, actuators and microfluidics need to be developed. In that context, IEMN develops a flagship research project on flexible electronics featuring the two distinctive trademarks: i) high performance multi-Ghz flexible electronics ii) heterogeneous integration of smart materials and functional blocks onto mechanically flexible/stretchable substrates. In support to this scientific/technological program, the LEAF Equipex platform provides innovative laser-based micro-patterning techniques. Description of work: The overall objective is to develop alternative placement and bonding technologies of thinned high frequency chip (100 µm² large and 10 µm thick) on flexible substrates. In particular the work aims at designing zero-newton placement and bonding strategies of thin semiconductor chips onto plastic foils. To do so the candidate will have to integrate state of the art knowledge on (i) surface energy modification by geometric and chemical modification and on (ii) interplay between capillary and elastic forces between flexible thin film and liquid droplets. The work will be performed in the clean-rooms of IEMN where state of the art equipments are available (see website) to study and optimize wafer grinding and surface texturing processing steps and to set-up and to characterize microfluidic experiments [1-4]. Special emphasis will be put on polymer coating of hydrophobic substrate, on conformal flattening of semiconductor micro-sheets onto plastic foils and on the use of surface tension and elasticity gradients for chip self-placement. Requested qualification: Ph.D. in micro-nanotechnologies with strong experience in polymer science, microfluidics and clean-room processing. Proficiency in flexible electronics is an advantage. Background: Foldable, thin, light-weight, stackable, high performance – this is the promise that flexible electronics and integration of highly heterogeneous functional and structural materials holds today. Smart systems featuring ubiquitous intelligence such as wireless sensor networks, micro-aerial vehicles, embedded defense, security and biomedicine chips, environment monitoring and smart textiles are all applications that flexible electronics and heterogeneous integration would make take off. To realize that objectives, advanced very thin film and flexible/conformable electronics and microsystems comprising digital, embedded memories and analogue signal processing, RF circuitry, antennas, sensors, actuators, microfluidics need to be developed. In that context, IEMN develops a flagship research project on flexible electronics featuring the two distinctive trademarks: i) high performance multi-GHz flexible electronics ii) heterogeneous integration of smart materials and functional blocks onto mechanically flexible/stretchable substrates. In support to this scientific/technological program, the LEAF Equipex platform provides innovative laser-based micro-patterning techniques. 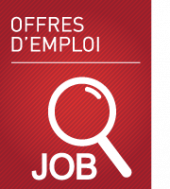 Description of work: The candidate will be expected to work in the context of a collaboration between the Nano and Microsystems (NAM6) and Microelectronics (MICROELEC) teams at IEMN and the Laboratoire de Mécanique de Lille (LML). The work will entail design issues of flexible electronic test samples, fabrication of samples involving thin film deposition/processing techniques using equipment acquired within the LEAF project. The candidate will be expected to play a key role in the setting up of a novel test rig at IEMN in order to characterize microelectronic materials (e.g. metals for transmission lines and contacts) at high frequencies using vector network analyzers. By working in collaboration with the LML it will be possible to investigate – in parallel – damage in such materials and its effect of HF performances. The candidate will take an active role in the orientation of this part of the project and be expected to write scientific article and participle at international conferences. Required qualification: a Ph.D. in one of the following areas: electrical engineering, microelectronics or micro-nanotechnologies or materials science with experience high frequency characterization and also in clean room processing. Knowledge of flexible electronics would be an advantage. Background: Foldable, thin, light-weight, stackable, high performance – that’s the promise that flexible electronics and integration of highly heterogeneous functional and structural materials holds today. Smart systems featuring ubiquitous intelligence such as wireless sensor networks, micro-aerial vehicles, embedded defense, security and biomedicine chips, environment monitoring and smart textiles are all applications that flexible electronics and heterogeneous integration would make take off. To realize that objectives, advanced very thin film and flexible/conformable electronics and microsystems comprising digital, embedded memories and analogue signal processing, RF circuitry, antennas, sensors, actuators, microfluidics need to be developed. In that context, IEMN develops a flagship research project on flexible electronics featuring two distinctive trademarks: i) high performance multi-Ghz flexible electronics ii) heterogeneous integration of smart materials and functional blocks onto mechanically flexible/stretchable substrates. In support to this scientific/technological program, the LEAF Equipex platform provides innovative laser-based micro-patterning techniques. Description of work: The overall objective is to develop the mechanically flexible and/or stretchable flavor of wireless sensor nodes (WSN) in collaboration with a major player of the microelectronics industry. Starting from a pre-defined WSN architecture comprising on-the-shelf state-of-the-art components (microcontroller, RF front-end module, energy micro-source, antenna, sensors), ultimate chip thinning, placing, bonding and laser structured interconnects will be combined to yield a compact and mechanically compliant module. Special emphasis will be put on the development of high-frequency assembly solutions compatible with high data rate wireless links. Work carried out at the WSN level will also serve as a test bed for a further miniaturization step to enable the on-board integration of control, communication and sensing electronics into a micro-drone prototype for autonomous navigation. The candidate will take an active role in the orientation of this part of the project and be expected to write scientific article and participle at international conferences. Requested qualification: Ph.D. in one of the following areas: electrical Engineering, microelectronics or micro-nanotechnologies with strong experience in clean room processing. Knowledge of flexible electronics would be an advantage. Background: Foldable, thin, light-weight, stackable, high performance – that’s the promise that flexible electronics and integration of highly heterogeneous functional and structural materials holds today. Smart systems featuring ubiquitous intelligence such as wireless sensor networks, micro-aerial vehicles, embedded defense, security and biomedicine chips, environment monitoring and smart textiles are all applications that flexible electronics and heterogeneous integration would make take off. To realize that objectives, advanced very thin film and flexible/conformable electronics and microsystems comprising digital, embedded memories and analogue signal processing, RF circuitry, antennas, sensors, actuators, microfluidics need to be developed. In that context, IEMN develops a flagship research project on flexible electronics featuring two distinctive trademarks: i) high performance multi-Ghz flexible electronics ii) heterogeneous integration of smart materials and functional blocks onto mechanically flexible/stretchable substrates. Description of work: Within the frame of the LEAF Equipex project, IEMN has acquired advanced laser micromachining systems (multi-wavelength femtosecond and nanosecond) to develop original processes for material structuring compatible with properties of flexibility, conformability and stretchability of plastic substrates. The overall objective is to develop the necessary know-how around these equipments for a wide range of processes (ablation, cutting, scribing, drilling) and materials (semiconconductors, metals, polymers…). The mission naturally covers process optimization and characterization using advanced microscopy capabilities (automated interferometric, SEM, AFM…). The candidate will take an active role in the orientation of other running projects covering interconnects, device and system assembly on flexible/stretchable films. He is also expected to contribute or manage scientific reporting as well as publications. Requested qualification: Ph.D. in one of the following areas: electrical engineering, microelectronics or micro-nanotechnologies, material science. Knowledge of flexible electronics and/or laser processing techniques would be an advantage. 5 September 2013 /in Positions /by Anne C.
Object: 12 months Position of post-doc for electromagnetic characterization of interconnections used with flexible substrates. Job description: The successful candidate will participate to studies for electromagnetic characterization of substrates dedicated to flexible electronics and to interconnects high frequency characterization. The work will focus on the development and implementation of protocols for extraction of electromagnetic parameters of interconnects from different S-parameter measurements on a wide frequency range (1 MHz -100GHz). The candidate is expected to develop or adapt tools for the characterization and simulation of the different structures studied. The final goal is to propose design rules for the fabrication process optimization and the performance enhancement of interconnects on flexible substrates. The work involves simulation, realization and characterization aspects. This position is sponsored by the CPER CIA (Contrat de Plan Etat Région Campus de recherche en Intelligence Ambiante). Experience in Cleanroom processes would also be appreciated. 11 December 2012 /in Positions /by Michèle M.
In the framework of a new large project (EQUIPEX ExCELSiOR-NCC), IEMN will create a new characterization platform for nanosciences gathering a large set of new experimental instruments operating at the interface between nano-microscopy and high frequency measurement tools. One of them, not commercially available, will be built from a high resolution MEB set-up equipped with AFM head and two nano-manipulators. This new instrument will be dedicated both for the study of structural behaviours and high frequency electrical mechanisms of nanodevices such as semiconducting nanowires, carbon nanotubes as well as other 1D and 2D materials with high dynamic properties. For the high frequency aspect, a new class of micrometer/nanometer size high frequency probes, not exiting today, have to be designed and fabricated. These probes will be realized using the technological facilities of IEMN (www.iemn.univ-lille1.fr) within the expertise of research group in the fields of MEMS fabrication and high frequency design. The recruited research engineer will have in responsibility the fabrication of these probes and the optimization of the process flow. This position is dedicated for a young doctor who is familiar with clean room facilities. Some knowledge on MEMS/NEMS fabrication flow or other micrometer / nanometer devices will be appreciated as well as knowledge of multi-physics (mechanical and EM) simulation tools (COMSOL…). Prof. Gilles DAMBRINE, Deputy Director of IEMN and coordinator of ExCELSiOR project. 15 February 2011 /in News, Positions /by Michèle M.